Though Adolf Hitler committed suicide on April 30, 1945, Germany didn't officially capitulate for another week. New Yorkers jammed the streets of Times Square, above, at 11.am. 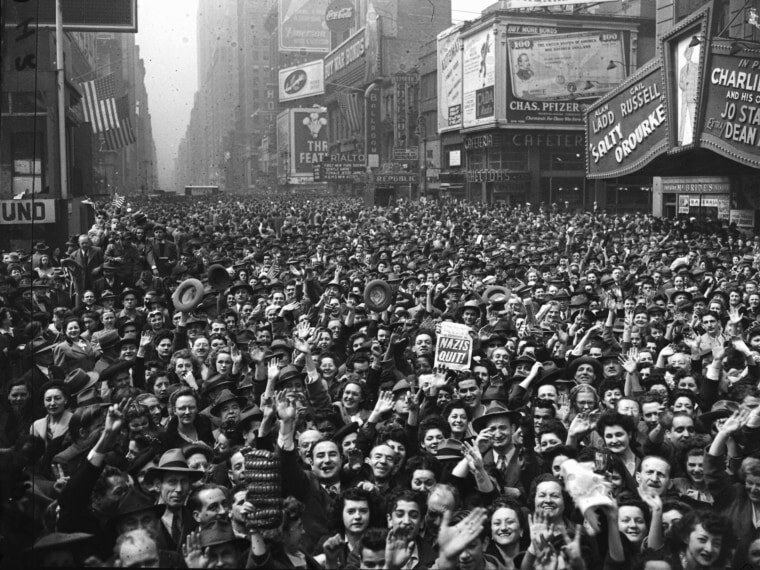 on May 7 to cheer the news that Germany had signed documents of unconditional surrender which were effective the next day, when German troops throughout Europe finally laid down their arms. Great Britain and the U.S. celebrate Victory Day on May 8. Because pockets of German-Soviet confrontation continued after the surrender, Victory Day was not celebrated until May 9 in Moscow.